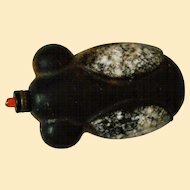 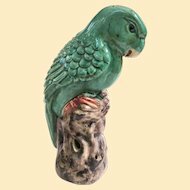 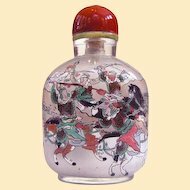 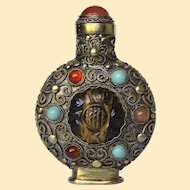 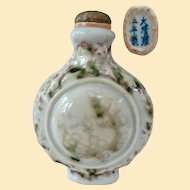 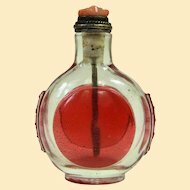 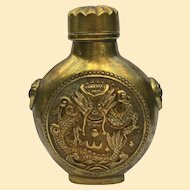 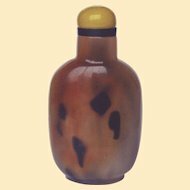 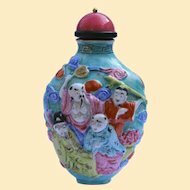 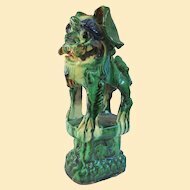 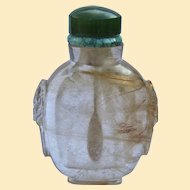 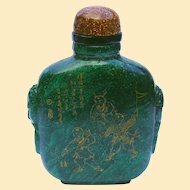 Offered is an excellent antique Chinese snuff bottle, designed to lay flat and would have been carried in the sleeve of a robe. 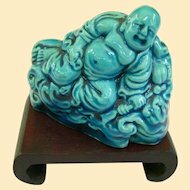 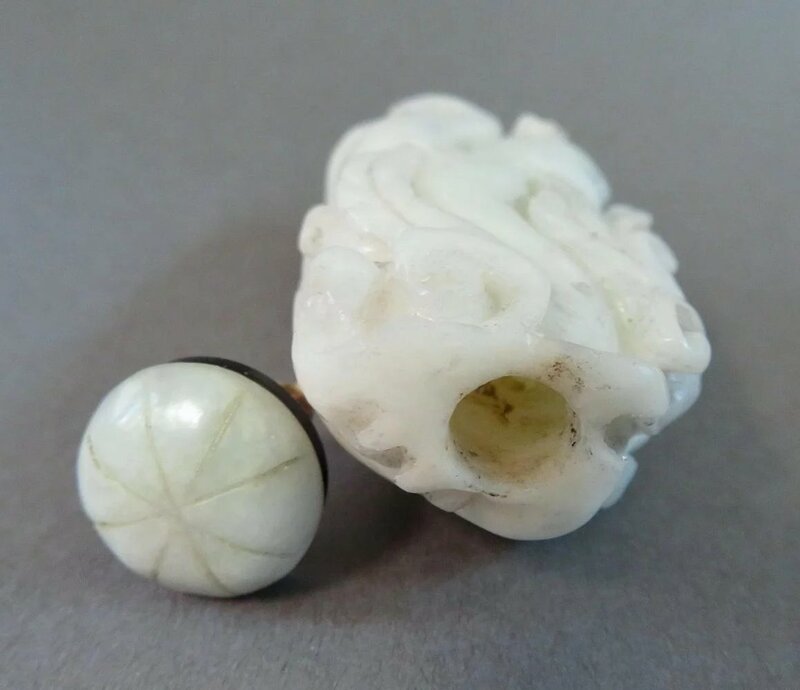 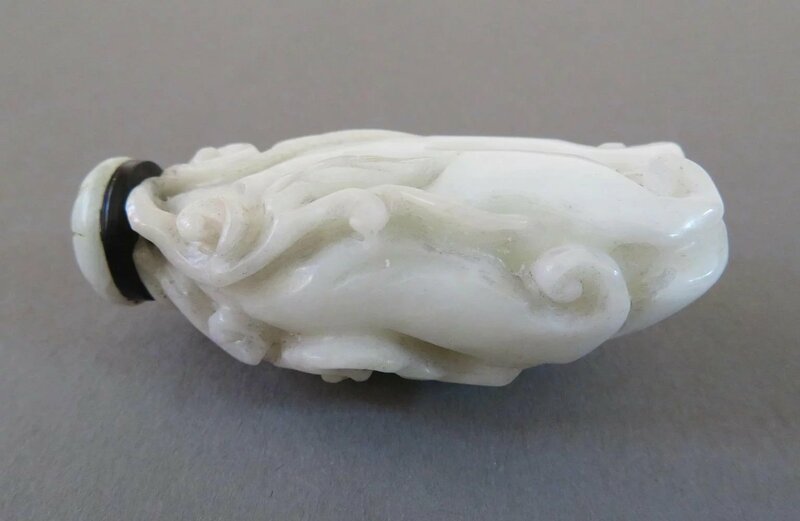 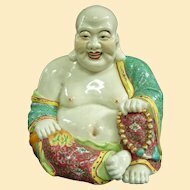 The body has the unmistakable shape of the citron fruit, referred to as "Buddha's Hand", and features a celedon colored jade top and black hardstone collar. 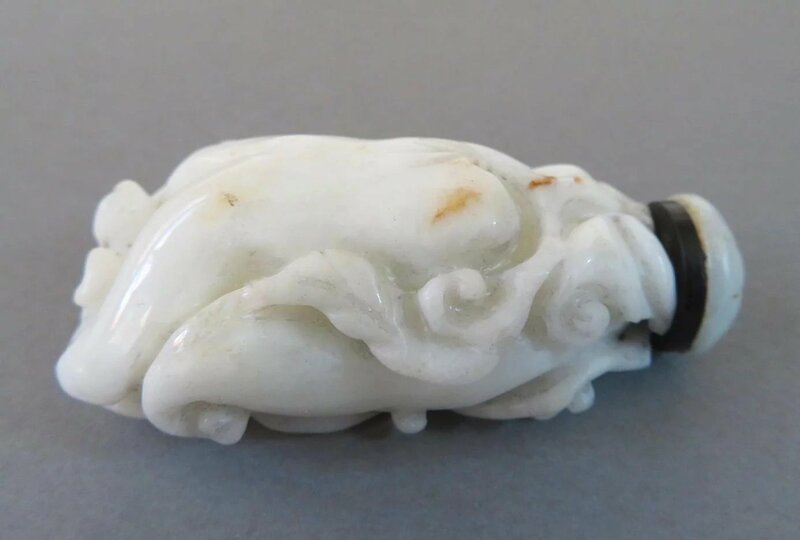 Spoon is intact as well. 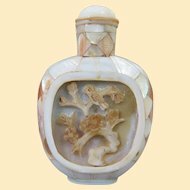 This is jadeite, with subtle hues of white, pale blue, and a few spots of russet. 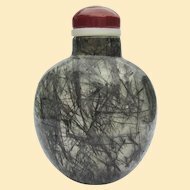 It's not a common type of snuff bottle and would make a fine addition to any serious collection. 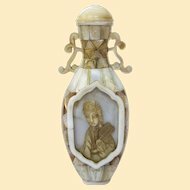 From a New Orleans estate collection. 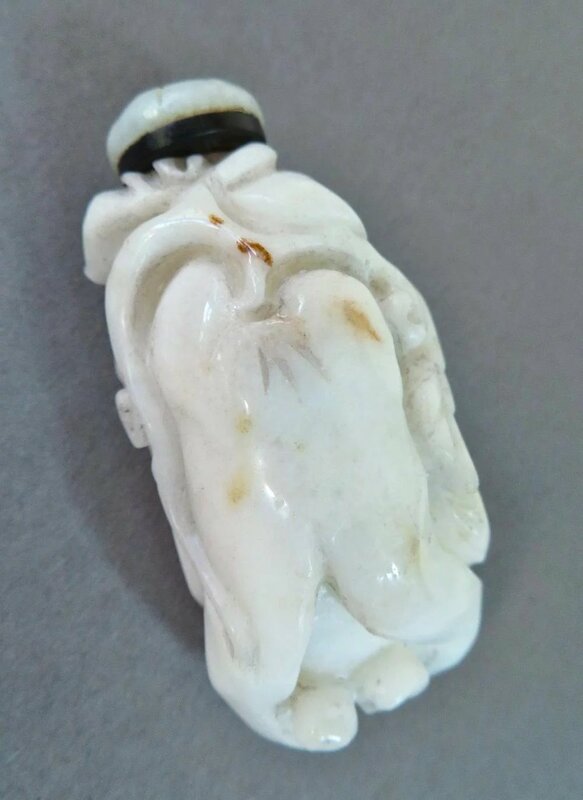 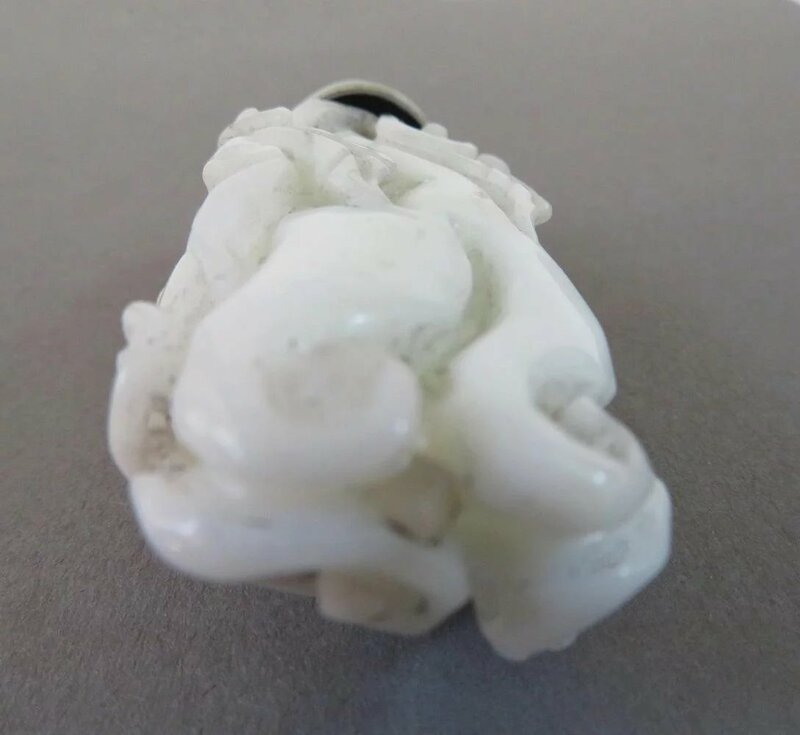 Measures 2.4 inches or 6.1 cm long to stopper top, and weighs 45.28 grams with stopper. 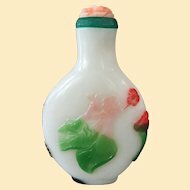 Circa 1800 to 1900.